Daigo Saito of Japan emerged victorious in the Federal King of Nations, but it was Thailand’s Keng PTT who drove away as the King of Asia series champ at the Clark International Raceway in Pampanga where an all-star cast of drifting personalities saw action in the Federal King of Nations Philippine leg (KONPH) and the 2018 King of Asia ProSeries grand finals last weekend. 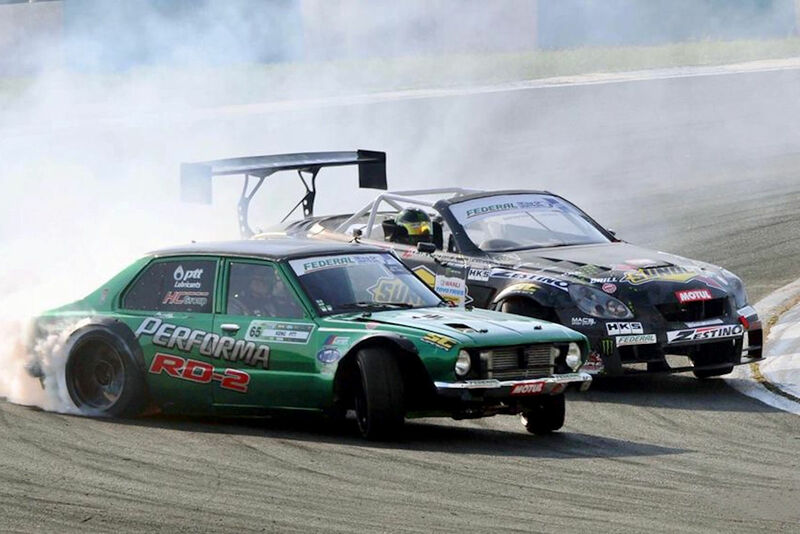 More than 20 drivers including 7 foreigners and 18 Filipinos fought for precious points in KONPH and the 2018 King of Asia ProSeries championship, which was organized by BackStage Events. They were Charles Ng of Hong Kong; Daigo Saito of Japan; Wuttitat “Keng PTT” Pangumnerd of Thailand; Hirohide Tanaka of Japan; Nasser Almutairi of Kuwait; Keiichiro Kadekaru of Japan and Toni “HalfBreeds” Arakaki of Japan who battled against some of the finest professional Filipino talents including Luis Gono, David Feliciano, Alex Perez, Atoy Llave, Jet Mathay, Jason Chuachoy, Audel Sison, Alvan Fowlerr, Patrick Ng, Boodie Dabasol, Luis Sayson, John Boban, Mark Bernardo, Jewil Lazaga, EJ Malibiran, Norman Agojo, Ralph Tan and 16-year old Hans Jimenez who won the Amateur Drifting Championship and finally competed against the professional lineup. The three-day event, which was sanctioned by the Automobile Association of the Philippines and sponsored by Federal Tyres, ST Suspensions, Remus, Autophile, Motul, Petron, PLDT, Fontana Leisure Park & Casino, and PartsPro.ph held the first Amateur Drifting Championship on May 25 with 13 drivers including Jimenez who placed first with a score of 73.30 points in Run 1 and 88.30 in Run 2 followed by Alvin Dayrit with 59.60 points in Run 1 and 61.60 in Run 2; Norman Wycoco with 50.80 points in Run 1 and 44.20 in Run 2; and Gabe Tayao with 45.70 points in Run 1who placed second, third and fourth places, respectively. Jimenez was awarded the local Amateur championship who placed fourth during the KONPH 2018. He was also given a special award for being the youngest drifter in the history of King of Nations. Saito, who drove spectacularly with his Lexus SC430, registered a total of 94.30 in Run 1 and 91.70 in Run 2. Keng PTT with his powerful 2JZ KE30 Corolla, came in second with 79.40 points in Run 1 and in 83.40 in Run 2 while Hong Kong’s NG who drove swiftly with his S13, landed on third with 87.30 points in Run 1 and 89.30 points in Run 2. Meanwhile, Thai champion Keng PTT also known as the “The Little Wizard”, dominated the 2018 King of Asia crown who already garnered more than 50 points ahead of Saito and NG during the Thailand leg last month. “They are all very good, but I really want to win the championship,” said Keng PTT through an interpreter. 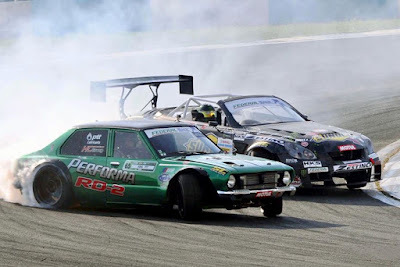 However, local professional bets such as Gono, Feliciano, and Llave were impressive on the tarmac as they popped fires and smoked tires in tandem with the foreign drifters. Unfortunately, some of them had car troubles during the qualifying and final runs on Saturday and Sunday. Gono, who drove his Nissan S13 D-1 spec drift car, was ranked fourth during the qualifying session, but suffered from alternator and fuel regulator problems.